Not quite two months ago, SRAM debuted their flagship Red eTap AXS. It’s the definitive expression of the wireless electronic shifting system. This week SRAM is building momentum with the announcement of a 2nd-tier road gruppo. Force eTap AXS has put all that tech within reach of the masses. That’s if they can get through the confusion that is SRAM’s marketing. According to SRAM, the term “eTap” is strictly an electronic road gruppo reference, itself an allusion to the “DoubleTap” ergonomics of their original mechanical dropbar shifters. But the new “AXS” is a blanket term for any of the updated electronic shift systems, road or mtn, that feature enhanced integration and customization. This means that the original 11sp Red eTap is not AXS, nor are any of its shifters or derailleur compatible with the 12sp-only AXS components. 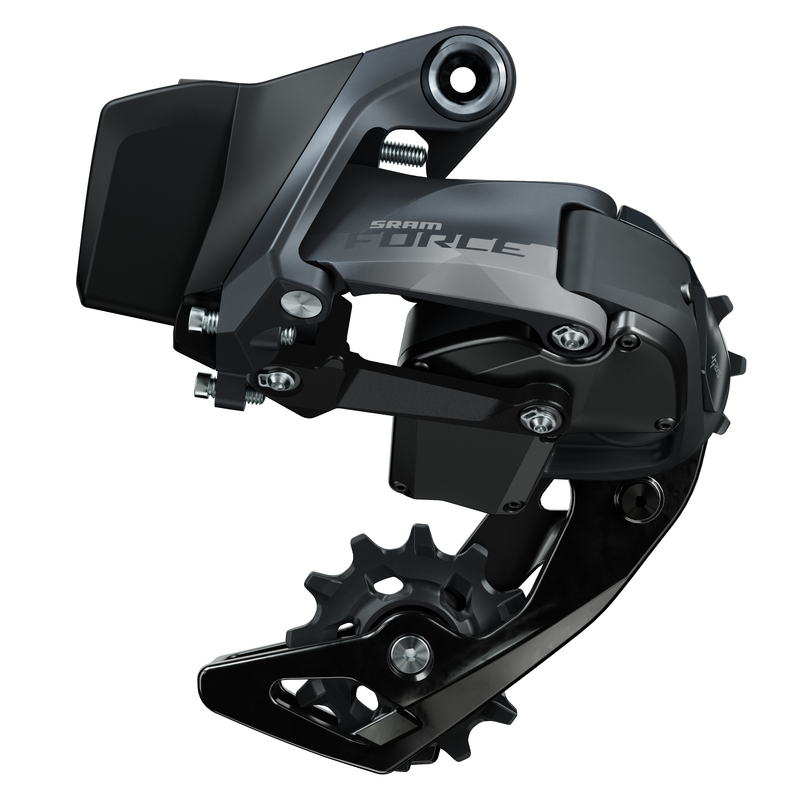 Conversely, all of SRAM’s 12sp mtn gruppos are branded “Eagle” in general, and the new electronic mtn gruppos are labeled specifically “XX1 Eagle AXS” and “XO1 Eagle AXS”. So eTap is road only, Eagle means 12sp mtn, and AXS is only the newest electronic road and mtn groups (which happen to be 12sp). Except that the batteries powering all the derailleurs (as well as the new Rockshox Reverb AXS dropper post) are the same eTap battery. SRAM of course has now dropped the eTap moniker from all recent references to the “SRAM battery“, just to destroy any sense of logic or perception of continuity in their branding. Tomorrow I’ll have more a chance to discuss the Force AXS. How it relates to the rest of the AXS systems too. For now you just need to accept that the bike industry’s love for insufferable acronym word salads barely exceeds their penchant for creating new bottom brackets standards. 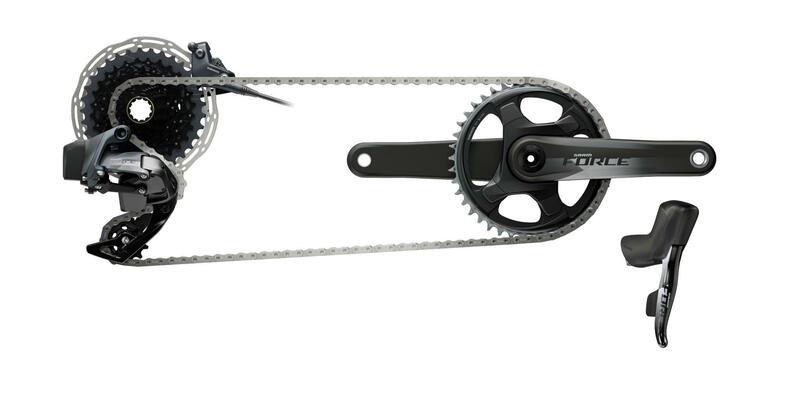 And I will not be talking about SRAM’s unforgivable “DUB” bottom bracket standard. Also see this post about Stradas with AXS.